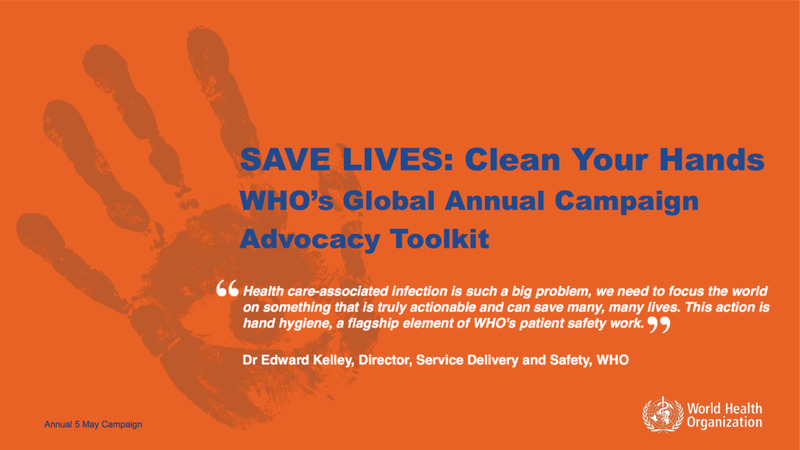 The WHO urges you to focus on the fight against antibiotic resistance in the context of hand hygiene and infection prevention and control (IPC) programmes. Please support the "SAVE LIVES: Clean Your Hands"-Campaign on May 5th, 2017. Hand hygiene and infection prevention and control more generally are key weapons in the fight against antibiotic resistance and sepsis and campaigning each year on or around 5 May is one important part of improving behaviour towards IPC best practices. This year the campaign materials are all co-branded with ‘Antibiotics, handle with care’ to demonstrate unity between antimicrobial resistance and IPC efforts. we want policy makers to stop antibiotic resistance spread by demonstrating national support and commitment to infection prevention. Resources and more information for May 5th can be found here.